The Neighbourhood Project Round 2 participants have been working hard over the last 6 months trying and testing their ideas from initial development to this month finalising their instalments. At CoDesign Studio, we are exceptionally proud of the hard work and enthusiasm each participant has bought to their respective project and we cannot wait to see all of their efforts pay off in the community. This article will provide a quick snapshot into each teams wonderful work to date. 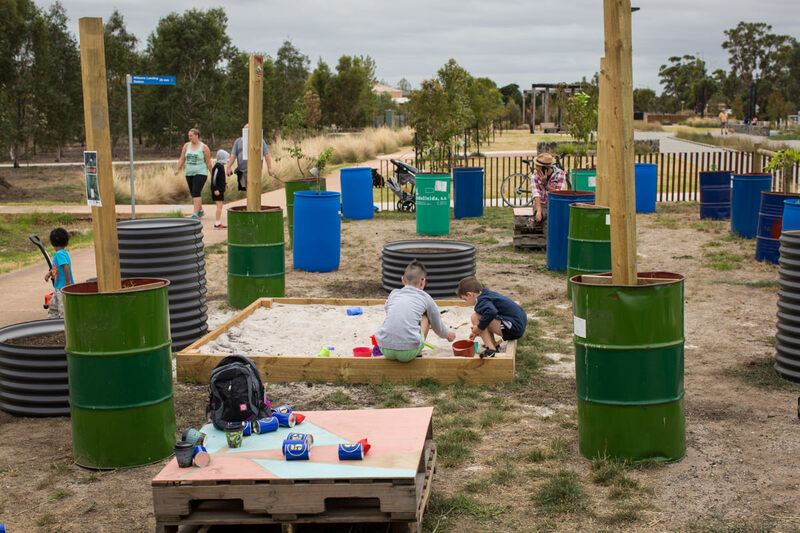 A group of local traders and community members had a vision – they wanted to create a space that welcomed residents and new visitors to Edithvale. Their aim was to show community and council what Edithvale could be using a pop-up park by the beach, and thoughtful street activations to give the shopping strip a sense of character. Despite stormy weather over 200 community members attended the launch and continue to enjoy their revitalised town. Despite a higher than average population of people under 25 living in the area, Strathmore has very limited public space targeting young people. Strathmore train station is a particularly problematic area with high numbers of students using the area and limited public space – besides a small unused grass area out the front of the station. Let’s Make A Park! Two young university students living in the area decided, pulling together friends, high school students, and young people working in the surrounding shops to build a beautiful green space that encourages passers by to water the plants and take 5 in the shade. Unlike surrounding Moreland suburbs that are thriving, Fawkner has very limited spaces for community to interact – with the suburbs first cafe only opening this year. 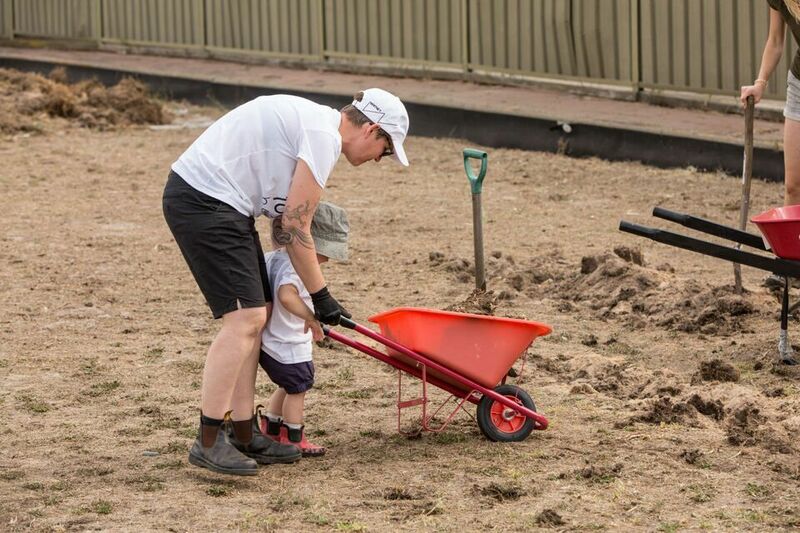 A local Fawkner resident saw the potential of an unused bowls green in her neighbourhood to create a community space. The Fawkner Food Bowls project has partnered with the local bowls club to bring the space back to life and attract more diverse users. The old green is being transferred into a nature play garden for children, and vegetable garden for more access to fresh local produce. Workshops are being held every second weekend by local gardeners and DIY experts to share their knowledge and skills. The project has now been included in the local area plan and Moreland City Council Food Strategy program. 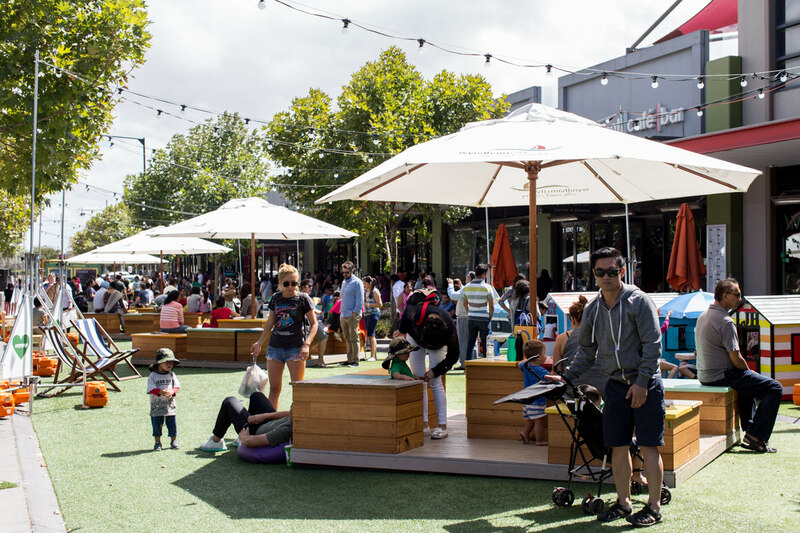 Point Cook town centre has all the bells and whistles of a bustling new neighbourhood, but lacks the social fabric that make spaces feel welcoming. Point Cook Action Group have set about bringing a sense of community and connection to Point Cook shopping precinct with a pop-up park and activity hub. Drawing on the energy and resources from the local community and council, visitors have enjoyed seven weeks of events and activities all run by local community organisations and groups. Point Cook Action Group hope to convince council to permanently close the road through the shopping centre, opening it up to better pedestrian activity. Thomastown has a rich and colourful history that local residents and passers through are often not aware of. 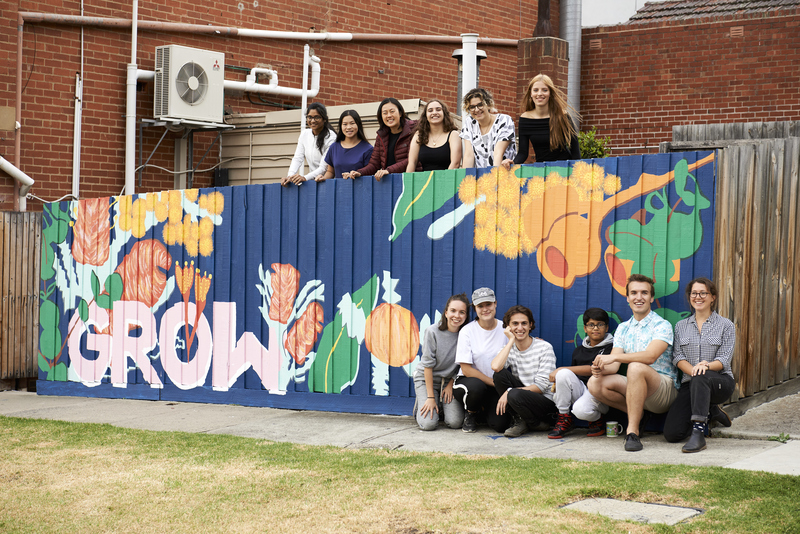 Thomastown Neighbourhood House wanted to capture the stories of the residents and celebrate the history of the community through a local event. 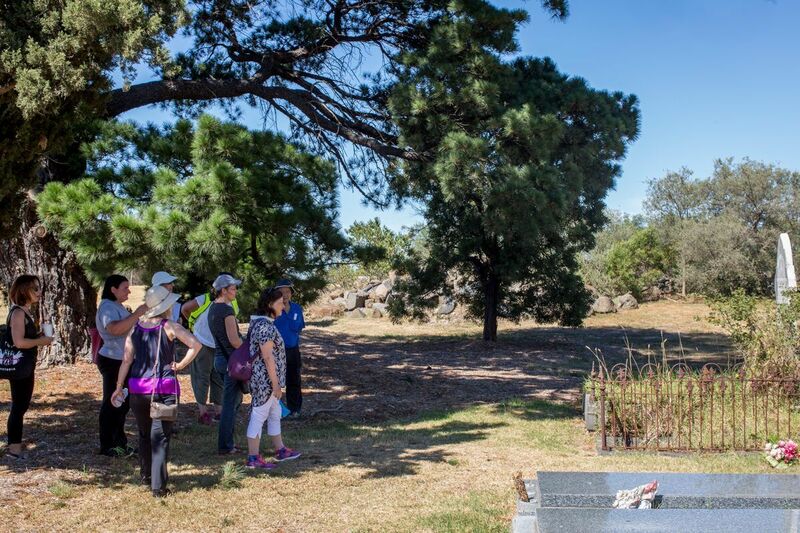 Walk & Talk Thomastown included a historical walking tour through the natural reserve connecting the key community services, story flags reflecting the history of Indigenous Wurundjeri to modern Thomastown, and a range of craft workshops in the library and park. Walk & Talk Thomastown will continue every month, inviting residents to take a stroll together through the reserve and get to know their neighbours. A rapidly growing neighbourhood with facilities and infrastructure trying to catch up – Williams Landing needs the community to help make this neighbourhood a beautiful place to live. Williams Landing Community Garden has created a pop-up garden to activate the pathway and give residents an opportunity to engage with each other a welcoming space . The group hopes to show council how important green spaces are for building community connection so this project can be the first of many public community gardens in Wyndham.